The 7 best souvenirs to be found in Shinagawa, the gateway to Tokyo! Let me introduce the 7 best souvenirs to buy in Shinagawa (品川). Whether traveling by airplane or bullet train the last place to stop is Shinagawa. This is the perfect spot to buy souvenirs. There are many souvenirs to choose from and plenty that you can only get Shinagawa. These dorayaki cakes make a great gift to be enjoyed! Furuyakojaganean Ecute (Shinagawa branch) is the place to buy dorayaki cakes as souvenirs. 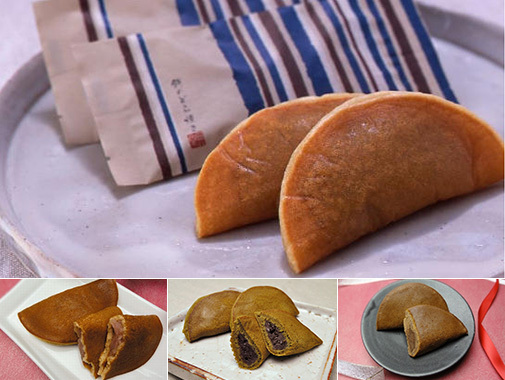 Baked in a crescent-shaped and filled with crushed azuki bean paste, these dorayaki cakes are delicious. 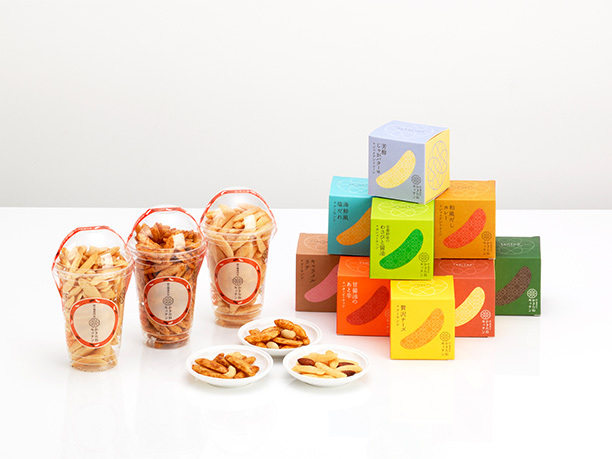 The original plain bean flavor is sold year round (1 for 160 yen plus tax), They also make special seasonal cakes. They last about 10 days, so they are good as a souvenir. 【Hours of operation】[Monday to Saturday] 8:00a.m. to 10:00p.m. [Sunday and Holidays] 8:00a,m, to 8:30p.m. 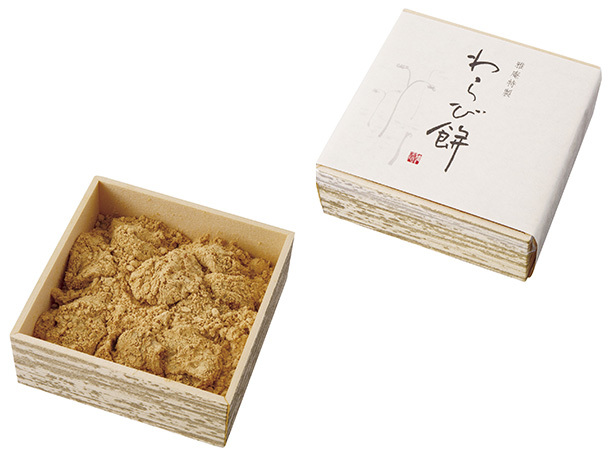 Shinagawa limited edition rice crackers make a great souvenir! These rice crackers are very popular with the Japanese people and make a great souvenir for children to buy for adults. The crackers are mostly sold by volume (1 Cup for 281 Yen). They also offer a casual long pack (378 Yen), a tetra pak of 15 bags (648 Yen), and the cube (1 for 378 Yen). These crackers are unique to Shinagawa and make excellent souvenirs. 【Hours of operation】Monday to Saturday 8:00a.m. to 10:00p.m./ Sunday and holidays 8:00a.m.to 9:00p.m. Enjoy the honey flavor of one of Shinagawa’s best souvenirs! Patisserie QBG (Ecute Shinagawa branch) offers delicious cakes with maple syrup and honey, selected from all over the world. Featured are the honey cakes made with the natural sweetener QBG. (220 Yen w/tax). These popular suites are available using two different types of honey. The rich scent of honey and butter melted together is amazing. They are a wonderful treat for yourself, and make great souvenirs as well ! 【Hours of operation】[Weekdays & Saturday] 8:00a.m. to 10:00p.m. [Sundays and holidays, 8:00a.m. to 8:30p.m. This Shinagawa “surprise” is perfect to give out as seasonal gifts! As a souvenir, the ufu pudding at Quatre (Shinagawa station branch) is hard to beat! 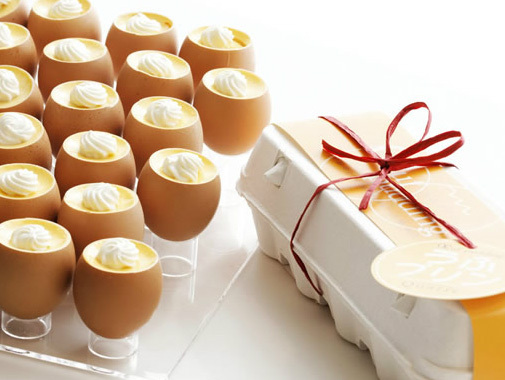 This delicious ufu pudding is placed inside a real egg shell and packaged in an egg carton. Rich in linoleic acid and vitamin E. This pudding is made from eggs from local farms where plenty of healthy eggs are produced. The pudding is topped with a slightly bitter caramel that brings out the sweetness of the pudding. You can enjoy different flavors like strawberry, chocolate, pumpkin and other flavors. They sell (4 for 480 yen). They can be purchased right in front of the Shinagawa station. Enjoy a rare treat at Shinagawa’s Little Bamtree-nenrin House! Little Bamtree-nenrin House, JR Shinagawa Station branch sells Baumkuchen. 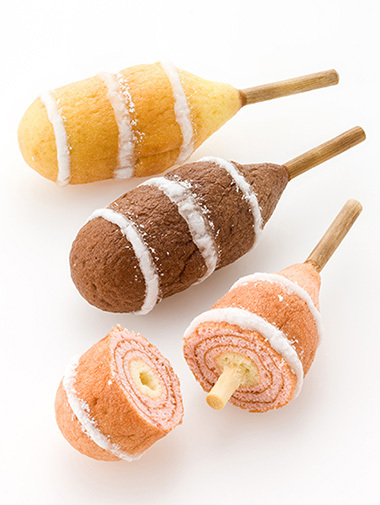 It is like a corn dog but sweeter (1 for 299 yen including tax-). Featured at this JR Shinagawa Station branch is the limited edition Little Bamtree white chocolate and Berry Berry (each 324 Yen w/tax). They are only sold at noon and 4:00p.m. while supplies last. These are very popular souvenirs! The flavors change each season. * White chocolate sauce will be sold until early May. 【Hours of operation】Weekdays & Saturdays 8:00 to 10:00p.m. on Sundays and public holidays, 8:00a.m.to 9:00p.m. Their delicious Hiroshima lemon bread makes an awesome souvenir! 8 Hatttendo Shinagawa Station is located at Ecute Shinagawa South 1st floor. It offers bread and other sweets that are the perfect treat for yourself or to give as a souvenir. 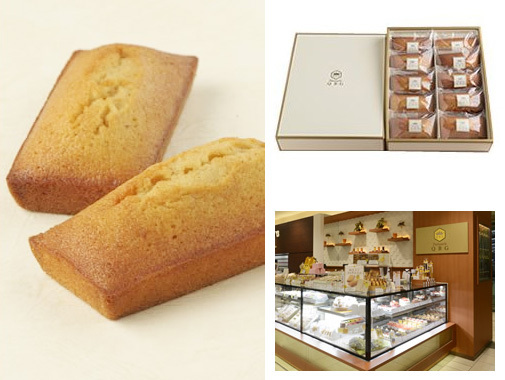 They feature their Shinagawa shop limited edition Hiroshima lemon bread (220 Yen w/tax). 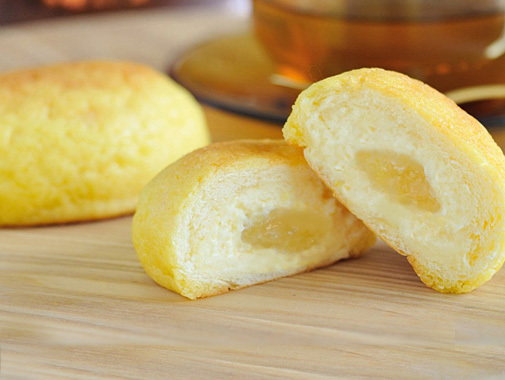 It is a slightly sweet, fluffy biscuit dough bread filled with cream of lemon marmalade. Delicious! 【Hours of operation】Monday to Saturday 8:00a.m. to 10:00p.m. (Sunday and holidays) 8:00a.m. to 9:00p.m. Their warabi mochi makes a great souvenir! Wagashi-miyabian (Ecute Shinagawa South Branch) is a popular Japanese confectionery shop. This stores sales many types of sweets but it is most known for its warabi mochi. It is so soft and covered with high-quality soy powder. It melts in your mouth! They sell one person servings for (529 Yen including tax). Ideal for souvenirs! Carefully selected by professionals, The top 8 cafes in Shinagawa (Tokyo’s Gateway). Hokkaido featured popular souvenirs recommended by professionals. 6 places to enjoy a delicious gourmet lunch in Shinagawa, Tokyo. Summary of the classic souvenirs of Tokyo, that you don’t want to miss.